REDDITCH United have appointed former Aston Villa and Walsall striker Darren Byfield as their new manager. 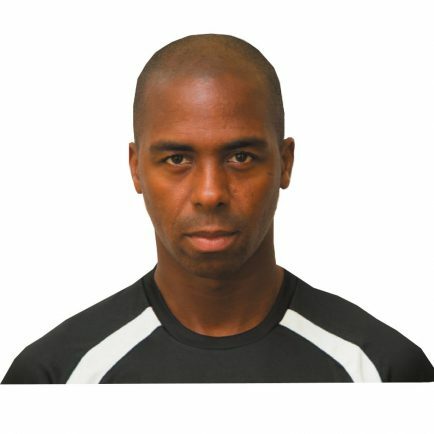 The 39-year-old, a former Jamaican international, will bring in former Reds striker Kyle Patterson as his number two. Club chairman Chris Swan admitted there had been no shortage of high calibre applicants but Byfield was the outstanding candidate. 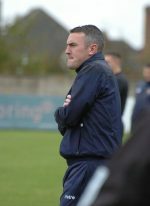 Swan said: “His passion, professionalism and sheer determination shone through at the interview and we’re delighted he will be taking his first steps into first team management with Redditch United. “We have a reputation at the club for developing talented individuals – both players and managers – and we have no doubt Darren has a promising career in management ahead of him. He has played football at the highest level and now wants to replicate that success on the sidelines. Last season Byfield was player/coach with National North champions Solihull Moors, where he also managed the under 18s and Reserves. He said he was looking forward to joining Redditch at an exciting time for the Valley Stadium side. A new football academy opens in the autumn and work has started on installing a cutting-edge 3G pitch, part of a £900,000 project that will also see other major improvements around the ground. “I’m delighted to be given the chance to manage Redditch United,” said Byfield, who retired from playing at the end of last season. “The club has just had a brilliant season, just missing out on promotion, and both Kyle and myself are determined to carry on the good work started by Liam McDonald. Solihull Moors manager Marcus Bignot said: “As a development club for not only players but for staff also, it’s with great pride that we see Darren move into management with Redditch United. “I have worked closely with Darren and have seen enough good traits in him to know he will go on to achieve great things. If given the time like I have had here at Solihull Moors, he will be successful in his management career. MEANWHILE, work has begun on digging up the turf at the Valley Stadium ahead of installing the new 3G pitch. Last Friday Redditch MP Karen Lumley joined Reds chairman Chris Swan and Bryn Lee, managing director of SIS Pitches which will be installing the new 3G pitch, to cut the first sod of turf.